Due to the apparent seriousness of water damage to our health and building condition, it is important to categorize the levels of water damage. This would allow homeowners and repair technicians to perform specific actions based on the level of water damage. It would be much more likely for homeowners to properly restore the internal and external conditions of the house. The category 1 water damage is when the water originates from sources that don’t pose significant harm to occupants. It can be classified as clean water, such as leaking potable tap water. Category 2 is designated for water that contains a significant level of physical, biological and chemical contaminations. They may cause sickness or discomfort if exposed to or consumed by people. Category 3 is used for water that is absolutely unsanitary. This could happen due to sewage back-flow or when water that contain pathogenic agents enter the interior of the house. Even quick exposure to this type of water could cause immediate sickness and discomfort. However, we should know that even category 1 water damage could already pose significant health risks when left unaddressed for long. Visible mold and fungi growth would eventually become visible after a period of time, regardless of the water quality. In more serious situations, walls may need to be demolished and reconstructed when they start to crumble due to significant water damage. In order to prevent water damage at all categories, we should do proper actions. It is important to routinely secure and check main supply lines, especially those located near refrigerator, water heater, washing machine, dishwasher, shower, tubs, toilets and sinks. Before each wet season, we should test the sump pump to make sure that it works properly and can handle the large quantity of water. It is also a good idea to prepare a backup, battery operated pump sump to protect our house against the failure of primary pump and power failure. Water heaters should be checked regularly for signs of moisture leakage and rust. The HVAC should be properly serviced by qualified contractors. This should include thorough inspections and cleaning of the condensation pan in the drain line. The HVAC system should also be entirely clean and it is a good idea to use filters with MERV 6 rating or better. A good filter should prevent the flow through of particulates. This will reduce the possibility that the system could work properly in an improper indoor air quality. Water alarm should also be installed and individual appliance systems can be set up in the entire house. When moisture is sensed, the system should trigger a proper alarm. When leak is detected, it should be possible to shut off water supply to that particular part of the house. 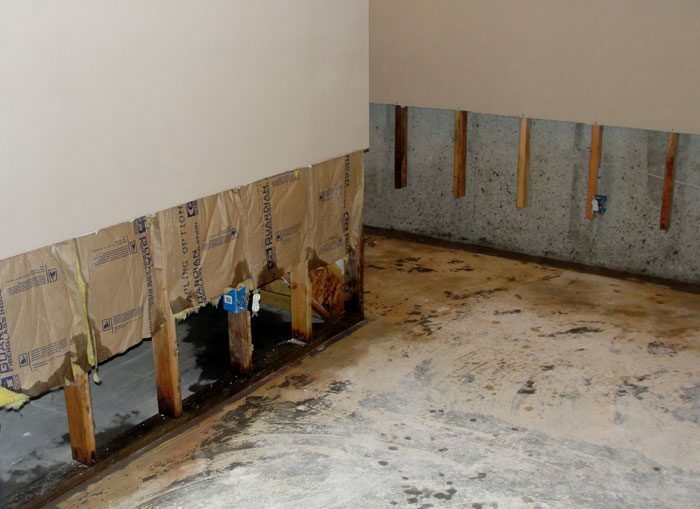 If we have an unfortunate case of water damage, it is important to solve the problem quickly.